Fabulous vintage Hawaiian tiki lamps from mid century 50s Eames era with bonus floor lamp with double attached formica tables. 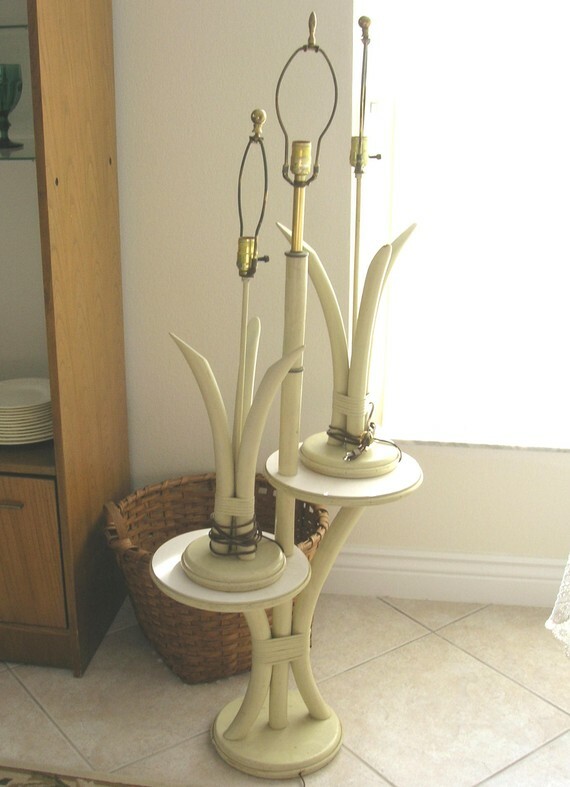 They are done in a beige white wash color and are retro-fabulous! The floor lamp measures 55 inches and the table lamps measure 32 inches. These are spectacular and will enhance your retro 50s decor. You are getting 3 lamps, 2 table lamps and 1 floor lamp. Price includes shipping.